Looking for a low-impact cardio workout at home with health club-quality equipment? 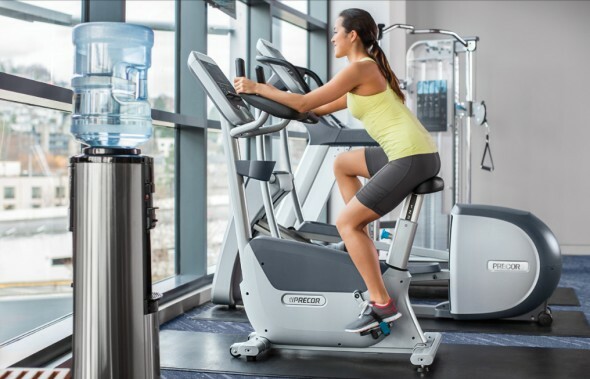 The Precor UBK 615 Upright Bike gives you a versatile cardio workout without the impact of running or jumping. This commercial series bike fits into your home and provides the great workout experience that only premium, health club quality equipment can. The Precor UBK 615 Upright Bike has an easy-to-use durable display with 6 preset workouts, 25 resistance levels, touch sensor and wireless heart rate monitoring with SmartRate® to keep you in your target heart zone, 3-position over-molded handlebars for upright, cruising and road racing positions and is biomechanically engineered for efficiency and comfort. The pedals can be replaced with your own for a custom feel and ride. The Precor UBK 615 comes with some terrific technology built in. It has got a console and sensors to help you monitor progress as well as several design options that give riders more choice in how they position themselves while cycling. It has a top class structure that is durable and stable, and comes with world class training settings that will really help consumers get the most from their workouts. The UBK 615 is highly customizable in terms of positioning and overall comfort. This exercise bike has a wealth of design attributes built in the will make your cardiovascular training a lot more enjoyable. The wide majority of parts are ergonomically designed to ensure maximum support and correct posture to prevent unnecessary strain on your body. And with this being one of the major causes of injury, this will come as a welcome add on that will help keep cyclists injury free. The handlebars can be gripped in three different ways which is often a great sign that switching between cruising mode to racing is going to be a smooth transition that goes easy on your wrists and forearms. The dimensions are 46 inches in length by 21 inches wide by 57 inches height. This is a reasonably compact machine that should quite easily fit into the corner of an average sized room. The technology included is up there with some of the best in the fitness industry. It can let a rider know how effectively they are peddling through the use of detailed statistics included on the computer monitor. Time taken, speed, distance and many more important information about your training is shown here, which can have a influential effect on how well you perform throughout. In addition to this hand sensors will help you monitor both your resting and active heart rate which also gets shown on the display at the front. This is a simple, and convenient way to measure your pulse and great for keeping tabs on how intensively your body and muscles are working. The UBK 615 also includes six different workouts programs. These will help keep things interesting and fresh, while at the same time increase the difficulty and challenge of your ride. These apps include interval training, heart rate based, hill, manual, weight loss and random. In terms of training, the different levels of resistance and training apps mentioned above can lead to a drastic improvement in both stamina and fitness. Depending on how you train, the results can be fantastic, especially for losing weight. On top of all this, as a well known brand, that has a history of producing some of the top machines in the market, with the UBK 615 you can expect a certain level of quality and attention to detail that you just don’t find in a lot of bikes these days. Call 1-800-875-9145 to speak with one of our fitness advisors with any questions you may have. 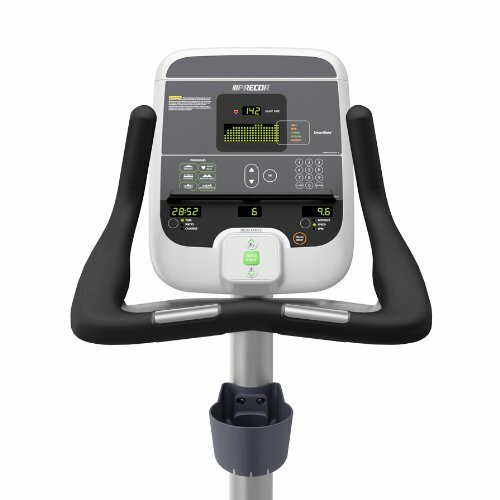 Go to FitnessZone.com today to order your Precor UBK 615 Upright Bike! 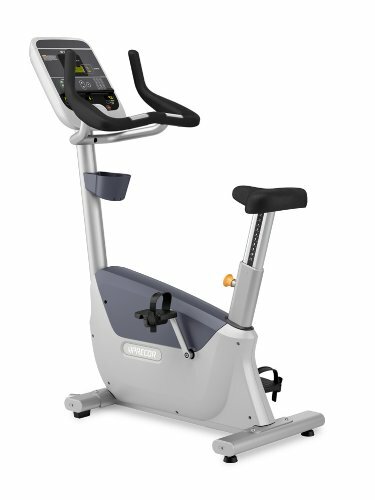 Order your Precor UBK 615 Upright Bike from FitnessZone.com today!